What can Caeleb Dressel not do? Answer: nothing. Caeleb Dressel can do everything. 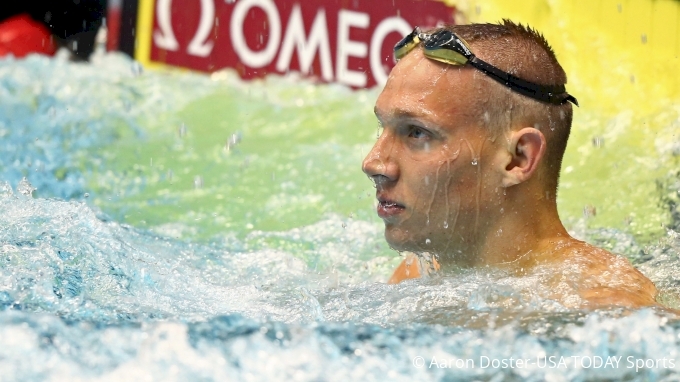 After leading off Florida's 200 freestyle relay in 18.66, Dressel turned around to become the 9th fastest performer of all time in the 200 IM with a 1:40.61. As you will notice in the race video, Dressel was actually behind at the 100. But wow... check out that second breaststroke pullout. If Dressel decides to race this at the end of the season there is no reason he can't throw down a 1:38 low. Former Stanford star David Nolan still holds the fastest performance of all time in 1:39.38 -- the only to ever break 1:40.